I loved Rae Carson’s fantasy series Girl of Fire and Thorns (which I never reviewed here, but I did do a review in gifs for the library’s tumblr). I was so excited when I discovered she had a new series, but since it was more historical fiction, which is not usually my favorite genre, I was a bit skeptical of whether or not I would enjoy it. I am happy to report that I loved it, despite it having only a trace of magic. I loved the Oregon Trailer computer game as a kid, even if I was always dying of dysentery or drowning while trying to ford the river, but this book is twice as good. Lee is a hardworking young lady who just happens to be able to sense gold in the earth, which is a valuable skill now that gold has been discovered in California. When her parents are brutally murdered by someone who has discovered her gift and wants to use it to his advantage, she has even more reason to head west. Disguised as a boy, she sets out on her own. Full of suspense, history, and adventure, this book is a great start to a new series. What I loved most about this book is Lee’s character. She’s resourceful, resilient, and just plain tough. The plot is very suspenseful and the main conflict is focused on simply survival. When I can jump on a direct flight to LA and be there in a few hours, the thought of making it just a dozen miles in a day is just mind-boggling, and Carson does a great job of capturing the struggle of moving West before there were roads and supplies along the way. The story also explored gender issues. Lee disguises herself as a boy for safety, but still endures what comes along with being female, like getting her period. There are two difficult childbirths, which highlight how dangerous pregnancies were for women during this time in history. Lee’s best friend (and potential love interest) is half Native American, and I think (from my pretty ignorant perspective) that she did a good job with his character and capturing the racial prejudices of the time while not employing stereotypes. 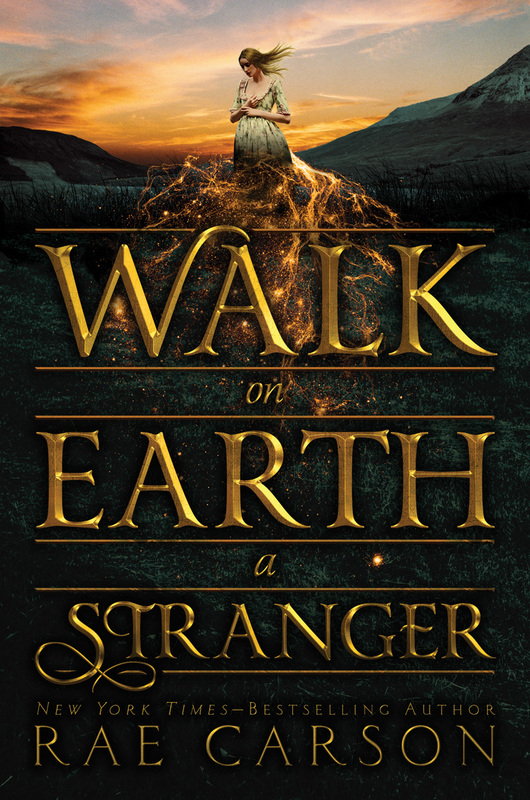 Readers who are hesitant to try fantasy may find this a nice entry point; the only element of magic is very subtle, and the really appeal for this book is the adventure, survival, and historical time period. There is only the tiniest hint of romance. The focus is much more on what makes a family beyond blood relations, and friendship, so this is perfect for those readers who don’t want a “kissing” book. This book has made me much more interested in trying out more YA westerns, which seem to be a bit of a mini-trend this year. I want to read Under the Painted Sky by Stacey Lee soon. I really enjoyed this one too! Having had issues with Carson’s first trilogy (I know) I was actually really excited to see that this one had more historical elements. In fact, I wound up being so drawn into the story that it was only upon finishing the novel that I realized how little the fantasy elements featured in the story. I really enjoyed this and can’t wait to see what happens next. Ohhh, what issues did you have with Girl of Fire and Thorns? I really liked her character arc and the romance. I didn’t love how her weight was depicted in the story and I had a really hard (basically impossible) time getting past the faith-based aspect of the fantasy although I can see how that would appeal to many and not be an issue for others. I’ve considered going back to try again but honestly, life is too short. Life is definitely too short. Very nice review! I loved Oregon Trail as a kid too. I think that was part of the appeal of the book (as well as my love of the author’s other series). I agree that this would be a good first novel for readers who are not into fantasy and also that the focus on friendship and adventure over romance would make it appeal to more people. I want to read Vengeance Road and Under the Painted Sky. I hope we see some more historical crossover novels like this!